Exotic blend of Chamomile, the sacred healer of ancient Egypt, the famous Madurai Malli from India that tones and nourishes the skin, and White lily from Native America brightens the skin - this magical blend is the ultimate care formula for skin hydration. 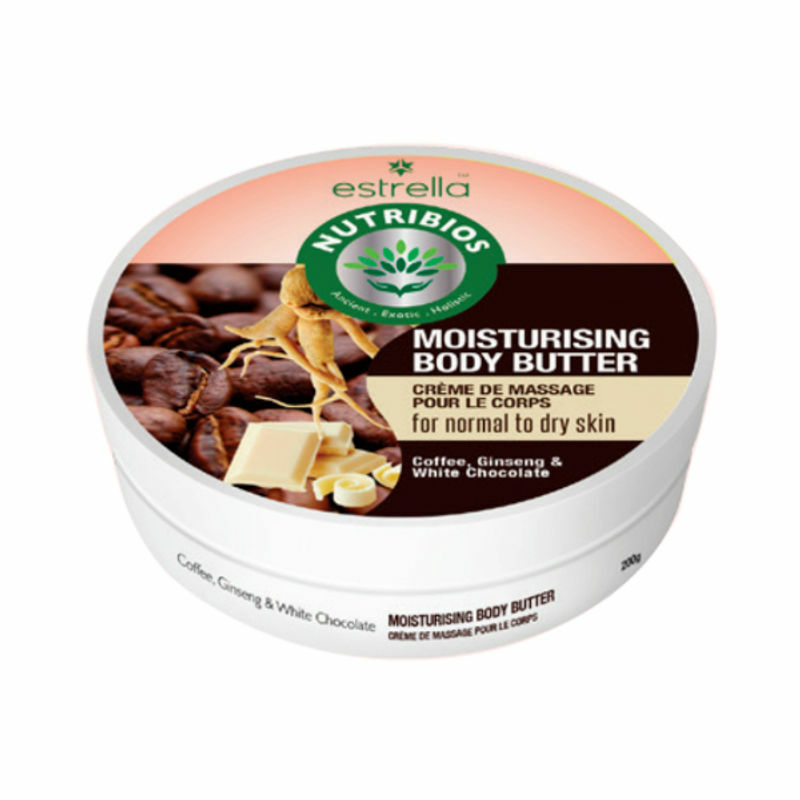 Estrella Nutribios Moisturising Body Butter Cream for Normal to Very Dry Skin, is specially made for Indian Skin, coming from the house of Estrella to give you healthier skin. Proven across civilizations for beauty and wellness benefits, Nutribios brings trusted beauty recipes from ancient civilizations, chosen with utmost care by experts and developed into exotic blends to deliver holistic solutions that are safe and effective. With an ethical, gentle and safe approach and a clear focus on delivering robust solutions for a naturally great way to life, each product in the Nutribios range has handpicked combinations of ingredients, textures and elements for a superior overall experience - and inter-connectedness that your soul will fall in love with. Explore the entire range of Lotions & Creams available on Nykaa. Shop more Estrella Professional products here.You can browse through the complete world of Estrella Professional Lotions & Creams .